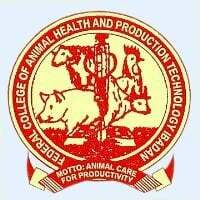 The Federal College of Animal Health and Production Technology (FCAHPT), Ibadan 2013/2014 academic session admission list is out. Candidates that participated in the institution’s post UTME screening exercise can now check their admission status. Federal College of Animal Health and Production Technology (FCAHPT) 2013/2014 admission list has been pasted on the college admin block at the main campus. All concerned students should proceed to check their names in school admin block, inside school main campus. And proceed to pay a sum of N10,000 as acceptance fee.